It is the New Year and one of the resolutions which you have made is to lose weight or have 10 pack abs. Losing weight itself is a long process. Imagine ignoring the rumblings from your stomach in the name of losing weight? You are always trying to limit your intake of food as a way of losing or maintaining weight. In each of the progress you are making, you will feel uncomfortable and if you are not careful, you will go back to your heavy eating habits which will mean you have violated one of your new year goals. So amid all these weight loss challenges, how are you going to make sure that you achieve your new year goals without feeling uncomfortable? Using the best appetite suppressant will help you in meet your new year goals. 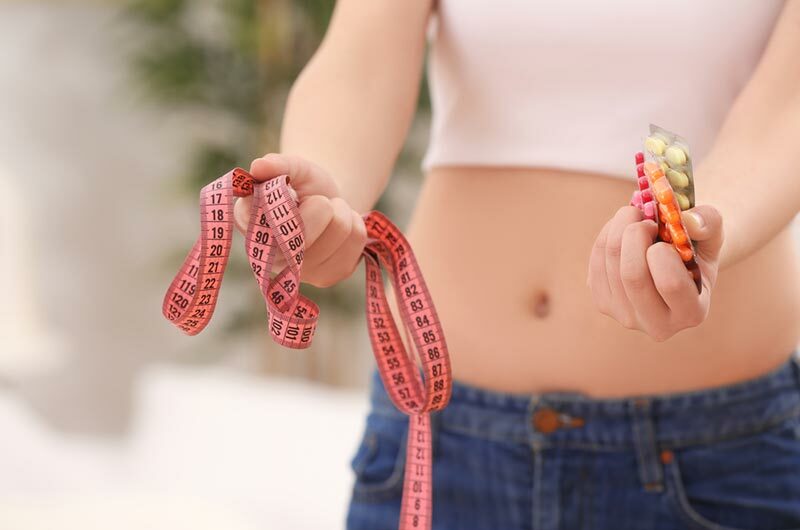 However, if you have gone out and tried to look for the best appetite suppressant, you will find that there are so many of them which promise the same results. You are left wondering which of all these products is the best. If you need to use the product for the first time, you will cast doubts on the effectiveness of the product and do away with it all the same. However, in this article, I will show you the best appetite suppressants and how they work. Derived from konjac plant, glucomannan is one of the best types of appetite suppressants. This appetite suppressant comes in the form of a soluble fiber and it can absorb water. It increases the fullness of your stomach while at the same time prevents constipation since it can absorb water from the stomach. How Does It Play a Role in Weight Loss? When taken, glucomannan will take up space in your stomach and you will feel full. This will reduce your food intake. Since it is a soluble fiber, it can prevent the absorption of protein and fats. Like any other substances, there are studies which have been carried out to prove the effectiveness of the substance in suppressing appetite. Research carried out showed glucomannan can play a great role in weight loss by reducing food intake. That’s the reason we call it the best appetite suppressant. If you are using this appetite suppressant for weight loss, make sure you take 1 gram three times a day. Also make sure it is taken before meals. Taking it after meals will not have any effect on weight loss. Take it about 15 minutes to one hour before taking your meals. Of course there are side effects associated with glucomannan. Most of the side effects manifest themselves in form of mild effects and they are uncommon. Can cause blockage of the esophagus is it expands before reaching the stomach. Soft stool of diarrheas in some cases. Can reduce absorption of oral medications such as the ones used in treatment of diabetes. Baoji Konjac Chemical Co. Ltd is a Chinese company which produces konjac plant products such as glucomannan. Guarana is a plant which contains seeds used in brewing a drink. It has a wide range of uses and one of the uses is the suppression of appetite. Guarana is one of those plants which contains the largest amount of caffeine. Once taken, it will stimulate the central nervous system thus decreasing the appetite and aiding in metabolism process. If you take guarana for a long period of time, it will result in weight loss. If you cannot take it alone, you should take it with a combination of other vitamins and supplements. There are products in the market which are indicated that they contain these vitamins and minerals. One of the vitamins is ephedra. As much as you are struggling to cut down on your diet, you should get a guarana product since it will not only play a role in suppressing your appetite but also it will contribute to your weight loss. Guarana is only effective when it is taken in a combination of other minerals and supplements. Evidence shows that taking guarana products will contribute to about 2.7kg average weight loss within eight weeks. However, it should be done together with a low fat diet and regular exercises. Some people believe it’s the best over the counter appetite suppressant. Any Side Effects of Using Guarana? Guarana is unsafe for your health if you take it through your mouth for a long period of time. There are also some reported effects of insomnia due to the caffeine. It can affect the way in which you process sugar in the body. Avoid taking it in large amounts if you are a breastfeeding mother or pregnant. Take it in the amount which is found in foods. Also don’t forget to consult your doctor. If you have schizophrenia, use guarana cautiously as it can make your symptoms to be worse. Follow the instructions on the label and if unsure consult your physician or pharmacist. If you need to take up guarana as an appetite suppressant, you need to be more careful. In most cases, it is good that you take it with a combination of other products or foods. There is no recommended dosage guarana since it will depend on your age, health and many other health conditions. If you take it wrongly, it can lead to other complications in your body such as heart disease. This powerful fruit is one of the best OTC appetite suppressants available in the market and it can come in different forms. Garcinia Cambogia is also one of best appetite suppressant pills available in the market. It also has the following features. There are studies which have been carried out to show that taking garcinia will make you eat less. The intake of garcinia cambogia causes the increase of serotonin in the brain. Serotonin is plays a great role in suppressing your appetite. There are no any reported side effects of using garcinia cambogia. However, there are some mild effects such as headache and it can vary from one person to another. The substance is considered to be generally safe. Vita Balance US is a company which manufactures the garcinia cambogia appetite suppressant products. If you are looking out for a way in which you can suppress your appetite and continue with your weight loss goals, you need to try Garcinia Cambogia Plus. It is one of the best OTC appetite suppressants available in the market. If you are looking out for a substance to promote fullness in your stomach and suppress your appetite, acacia fiber also referred to as gum Arabic would be the best option for you. Something good about it is that it comes in different forms such as acacia powder which can be used as a supplement. Many people say that it’s the best otc appetite suppressant. Acacia powder can give you a thickening effect due to the high fiber content found in it. The thickening effect will make you feel full after you have consumed it. It will also inhibit the absorption of glucose which will play a great role in managing your weight. You can use the acacia powder by sprinkling it on food or mixing it with drinks. According to various studies which have been carried out on acacia powder, it has been found out to be effective in weight loss. A study carried out on 120 women for a period of 6 weeks revealed that the women who took about 30g of acacia fiber lost more body fat than those who were not. That’s why a lot of people believe this is the best appetite suppressant for women. Like any other fiber supplements, make sure you drink a lot of water to avoid blockages of the esophagus. Make sure you begin by taking small quantities of the supplement such as half a spoon a day and increase for up to 2 or 3 spoons in a day. If you realize you are not getting well with the powder, get the above fiber products. They do work in the same way as the acacia powder. This is one of the herbs which has been used over a long period of time to suppress appetite and create fullness within your stomach. The herb contains various substances and compounds which once taken will inhibit the production of serotonin in the brain. This will in turn decrease the intake of carbohydrates and suppress your appetite. It is considered as one of the best natural appetite suppressants. There are also other studies which have been carried out on the substance to establish how effective it is when used as an appetite suppressant. A study carried out on about 50 overweight adults revealed that if you take about 1 gram of Caralluma Fimbriata for a period of two months, it will result to about 2.5% weight loss. In another study carried out, about 43 overweight people were given 500mg of Caralluma Fimbriata twice in a day for about 12 weeks. It was also accompanied by regular exercise and controlled diet. At the end of the study, the finding showed that they had signs of weight loss such as reduced waist circumference and reduced body weight. Luckily, caralluma fimbriata does not have any other side effects. It is regarded as safe and this is the reason as to why it is regarded as the best appetite suppressant for women. It is advised that you take 500 mg of the substance twice in a day. Taking extra than that is not good for your health and it can cause other health complications. You can combine caralluma fimbriata with your weight loss exercises and diet. Given the above mentioned benefits, it will play a great role in reducing your body weight and reaching your fitness goals at a faster time than you expected. This appetite suppressant is one of the herbs from the legume family. It works perfectly to suppress your diet. In most cases, the seeds of the plant are harvested and ground to form a powder. The substance contains two types of fiber where one is soluble and the other is insoluble. It works by slowing down the digestion of the carbohydrates and fats in the stomach. If you are having challenges in controlling your sugar level, fenugreek can also be used since it can help regulate the sugar and reduce cholesterol within your body. A study carried out on about eighteen adults who were obese showed the consumption of fiber from fenugreek made them feel full. They also ate less in the next meal. In another study, the intake of 1.2g of the fenugreek seed extract was observed to decrease the intake of fat by about 17%. It lowers the calorie intake by about 12%. For the whole seed, begin with 2g and move up to 5g. Now you know what is the best appetite suppressant for your need. The above appetite suppressants will play a great role in your weight loss or 10 pack abs goals this year. However, you need to know that using the supplements without a change in your lifestyle will not make them work. You should accompany the appetite suppressants with controlled diet and regular exercise. Most of the above mentioned supplements area also available in a number of online stores and you should make sure you get the original product and adhere to the right dosage.